Video: Should I Worry About my Child’s Walking Issues? Ruth, a health visitor (*specialized nurse) discusses parental concerns about childhood walking issues, when you should contact your GP (*physician) and the normal stages of learning to walk. 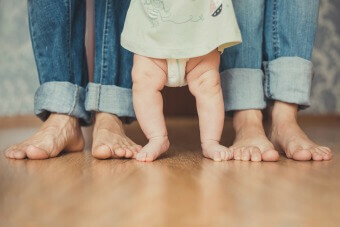 What is the normal way children start to walk? Children begin to walk with their feet turned out. It is also common for children to have bow legs, knocked knees, and to sometimes walk with their feet turned in. What are the main issues that concern parents? 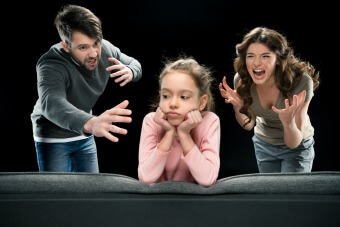 How worried should parents be if their children exhibit any of the above issues? Most walking issues resolve themselves simply. If there is concern, contact the child’s GP (*physician). Two years of age is a good time to ask about potential walking issues. Editor’s Note: *clarification provided for our US readers. 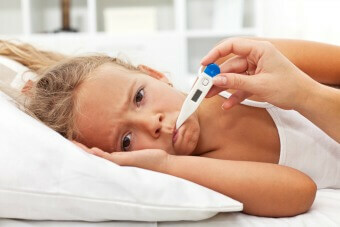 Why is my Child’s Flu so Hard to Treat? I. First – You need to know a little about what makes this such a tough bug to prevent…. a) To do that you need to understand the nature of this virus – in particular that it is continuously changing / evolving. Before we discuss the Flu virus and its effects on human beings it is important to know some basic background information. The Influenza viral particle at the microscopic level is unique in that its many protein particles are attached in random order to receptor cells on the surface of the viral particle itself and each one is capable of changing the characteristics of the particle in such a way that it will have altered effects on the host (humans). A virus causes its effects on the host by attaching to the host’s respiratory cells and in some way alters the function or structure of the cell so that the invading virus can replicate using the host cells’ capabilities. Replication of a species is a common goal for all living creatures no matter how large or small. Before we see the Influenza virus as we know it in humans it has spent several replication cycles in various animal species over time such as birds, pigs, and humans. With each pass through of a species, the virus has a chance to change or mutate into a different breed with possible different characteristics and therefore effects on the human host. b) And you need to understand a little about how vaccines are developed – and that we need to have them ready “before” our flu season starts, but that can be problematic with a continuously changing bug.. Viral immunizations are created by using the viral particle to develop antibodies to aid our own very sophisticated immune system to function in a more effective manner and rid ourselves of the offending invader. As you can imagine, this process of developing that immunization can be a long and arduous one and effected by forces not easily seen or appreciated by us, the consumer. Economic and yes political forces are at play in developing a new immunization to be used each year. First the virus of the year needs to be isolated prior to the infection season, which is the cold weather season of the year. Often times we find that particular viral particle in countries that are in the southern hemisphere and therefore have reversed seasons; a lot of our information on the type of virus comes from the Australian experience with the illness. It then must be isolated and a viable strain must be grown near a laboratory so that it can be used in the process of developing the vaccine before the pharmaceutical companies can gear up for production. While all this is happening and just to confuse things more, the Flu virus may continue to change and eventually present us with a different illness than the newly developed immunization will cover! And a further confusing issue is that no matter how well any vaccine is manufactured it is never 100% effective in deterring the illness; the most effective vaccines made are only about 90% effective while the Influenza vaccine is at most 60% effective (some reports of much lower than that can be found). Those who may have been immunized and still manage to get the illness should experience a much lighter case. a) Because you can’t be sure of prevention, what you can do is lessen the effects and avoid passing it on. 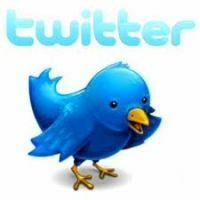 OK now that we know what we are dealing with we can further discuss the illness and its prevention and treatment. The best thing one can still do is get fully immunized every year even acknowledging that it is not a perfect vaccine; all other factors are beyond our control. There are some fairly effective medicines that can treat the Flu symptoms if used early in the disease or if one is in close contact with someone who has an active case. These are also not completely effective although they can slow the length of illness. Fortunately the side effects are mainly minimal and short –lived. As with all medications there are rare significant side effects that should be reported to your Doctor such as severe headaches and vomiting (headache and vomiting can also be prominent symptoms of Flu virus infection- confusing again! ) and certain psychological symptoms such as vivid dreams and even hallucinations. Most of the deaths that occur with Flu virus infection are found in very young children or infants, those children or infants with asthma, children with certain chronic diseases of the lungs, kidneys or heart, those individuals with immune dysfunction, and elderly people. Still, suffering through the Flu illness is no piece of cake for previously healthy individuals and can cost a week or more out of school or work. Aside from thorough immunization every year and avoidance of those with the illness the next most effective way to reduce spread and subsequent infection is to wash hands frequently during the the Flu season with soap and water or the many anti-bacterial and antiviral solutions found in abundance in hospitals and other health care facilities and easily purchased by anyone. b) The earlier you find it, the better the chances for EVERYONE in your family – so pay attention during flu season; even if it’s not a “traditional flu symptom” – when in doubt, ask your doctor. Early identification of Flu –like symptoms (sudden onset of fever, chills, headache, eye pain, etc.) should be brought the attention of your Doctor as early treatment (mentioned previously) can lead to less severe symptoms and a shorter duration of illness. Remember preventing Influenza infection in one family member can help prevent the infection in all family members! It has been mentioned that hives can be a sign of Flu even without other symptoms being present, and, as with many other viral infections, this may be possible, it is the symptoms of Flu that are debilitating and therefore worth avoiding employing all the methods mentioned above. The only significance is that if, and that is rare, hives do represent the only symptoms of Flu infection, a more preventive plan can be instituted in the family. That is why hand washing, avoidance of contact and proper immunizations should be practiced by everyone during the appropriate season of the year. Since 2007, AMC Entertainment (AMC) and the Autism Society have teamed up to bring families affected by autism and other special needs “Sensory Friendly Films” every month – a wonderful opportunity to enjoy fun new films in a safe and accepting environment. Families affected by autism or other special needs can view a sensory friendly screening of Black Panther at an AMC theatre on Tuesday, February 27th at 7pm and Saturday March 10th at 10am (local time). Tickets can be as low as $4 to $6 depending on the location. To find a theatre near you, here is a list of AMC theatres nationwide participating in this fabulous program (note: to access full list, please scroll to the bottom of the page). 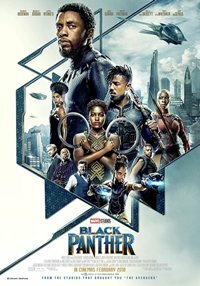 Editor’s note: Although Black Panther has been chosen by the AMC and the Autism Society as this month’s Sensory Friendly Film, we do want parents to know that it is rated PG-13 by the Motion Picture Association of America for prolonged sequences of action violence, and a brief rude gesture. As always, please check the IMDB Parents Guide for a more detailed description of this film to determine if it is right for you and your family. Remember the last time you “lost it” with your kids? I mean yelling, of course. As parents, we’ve all had times when our kids pushed our buttons a bit too far and we couldn’t contain our strong emotions. Have you wondered how the strong emotion in your voice affects how your kids listen? Does yelling make them listen to your instructions more? Yelling may have gotten their immediate attention, but does it reinforce their memory of what you were saying? Luckily, we have research on this topic to help us understand how yelling affects listening. This study considered how different emotions influence memory of what was said. Here’s how the researchers did it: participants listened to words spoken in either a neutral or sad tone of voice. Later the participants were asked to recall the words from memory. Interestingly, results of the study showed that people tended to remember words spoken in a neutral tone better than those spoken in a sad tone. Additionally, participants remembered words spoken in a sad tone more negatively than the other words. In other words, when a more neutral tone was used, the participants remembered words better. Now, this study didn’t address yelling specifically. However, you can imagine if hearing words in a sad tone prompted individuals to remember words more negatively, an angry or yelling tone probably has an even more negative impact. Additionally, we know from other research that people (even kids) have a much harder time processing information in their brain when it is flooded by distressing emotions such as fear or anxiety. Put in the perspective of yelling, you can see why kids often do not respond well when we yell. Their little brains are so flooded by anxiety over our strong emotions, that they cannot process what we are saying. Although knowing this information is helpful, when we are in that heated parenting moment, it is often difficult to stay calm. Our kids definitely know how to push our buttons in large part because we helped “install” the buttons! One aspect of child development that I find helpful to keep in mind is an awareness of why they are behaving the way they are behaving. In other words, making some meaning out of kids’ behavior often helps diffuse the emotion of the situation. For little ones, it’s helpful to keep in mind that they do not have the mental maturity to manipulate or try to irritate you purposefully. They are just immature and do not have good self-regulation skills yet. For all kids, understanding growth spurts or developmental spurts is often helpful. We often hear of growth spurts for infants and toddlers but even older kids have them. During these times, kids are often more irritable, unregulated and overall cranky. Understanding the cycles of when these growth spurts usually occur, might help parents avoid some yelling and overall loss of patience. Parenting is emotionally taxing work. We love our kids but they do test our patience at times. By understanding that yelling is not effective we can help find alternatives to help our kids listen better. Self-harm is when somebody intentionally damages or injures their body. It’s usually a way of coping with or expressing overwhelming emotional distress. Sometimes when people self-harm, they feel on some level that they intend to die. Over half of people who die by suicide have a history of self-harm. However, the intention is more often to punish themselves, express their distress or relieve unbearable tension. Sometimes the reason is a mixture of both. If you’re self-harming, you should see your GP (*physician) for help. They can refer you to healthcare professionals at a local community mental health service for further assessment. This assessment will result in your care team working out a treatment plan with you to help with your distress. Treatment for people who self-harm usually involves seeing a therapist to discuss your thoughts and feelings, and how these affect your behaviour and wellbeing. They can also teach you coping strategies to help prevent further episodes of self-harm. If you’re badly depressed, it could also involve taking antidepressants or other medication. People often try to keep self-harm a secret because of shame or fear of discovery. For example, if they’re cutting themselves, they may cover up their skin and avoid discussing the problem. It’s often up to close family and friends to notice when somebody is self-harming, and to approach the subject with care and understanding. People who self-harm can seriously hurt themselves, so it’s important that they speak to a GP about the underlying issue and request treatment or therapy that could help them. Self-harm is more common than many people realise, especially among younger people. It’s estimated around 10% of young people self-harm at some point, but people of all ages do. This figure is also likely to be an underestimate, as not everyone seeks help. These issues can lead to a build-up of intense feelings of anger, guilt, hopelessness and self-hatred. The person may not know who to turn to for help and self-harming may become a way to release these pent-up feelings. Self-harm is linked to anxiety and depression. These mental health conditions can affect people of any age. Self-harm can also occur alongside antisocial behaviour, such as misbehaving at school or getting into trouble with the police. Although some people who self-harm are at a high risk of suicide, many people who self-harm don’t want to end their lives. In fact, the self-harm may help them cope with emotional distress, so they don’t feel the need to kill themselves. Find more mental health helplines. ** Resources outside the U.K.
Samaritans USA provides resources like hotlines and professional educational courses to prevent suicide. NAMI is the National Alliance on Mental Illness, the largest grassroots mental health organization in the US. The Self Injury Foundation is dedicated to providing funding for self-harm research and education as well as resources and information about self-harm. Recover Your Life is a self-harm forum. National Parents Hotline provides emotional support for parents dealing with a range of issues.